I hope you had a Spirit Led Thanksgiving weekend with family and friends. I know I did. I started to free motion quilt the cross quilt, but was totally disappointed, so I ripped it out! I had not done very much, so it was not too bad. I am now thinking about using my Flynn Quilt Frame. But I am going to put it off until I get some Christmas projects done. Well, it was a busy week. 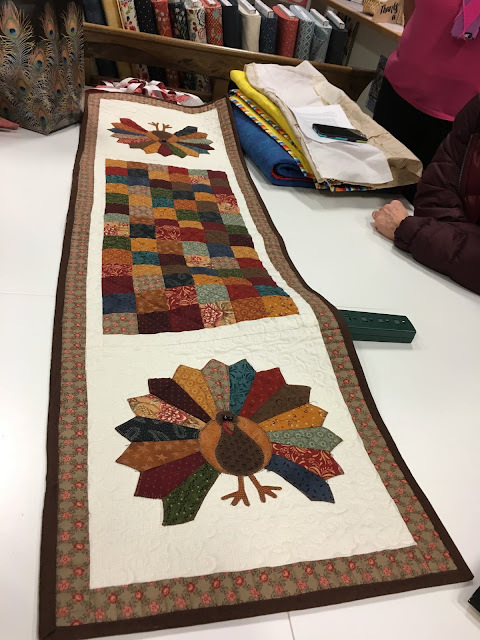 No Vintage Stitchers, no Common Threads, but the H-word, Thanksgiving dinner, cooking, eating and guests. I did finish Vroni's turtleneck, though. Our son, Ryan, and his wife, Erica had another check up on baby Avery this past week. They had an encouraging appointment considering. This is what Ryan texted us. I finished up another UFO I started a while back. This was a freebie I found online. It was a quick & fun project. As some of you might not be aware, Nancy Zieman from Sewing With Nancy passed away today after battling cancer. 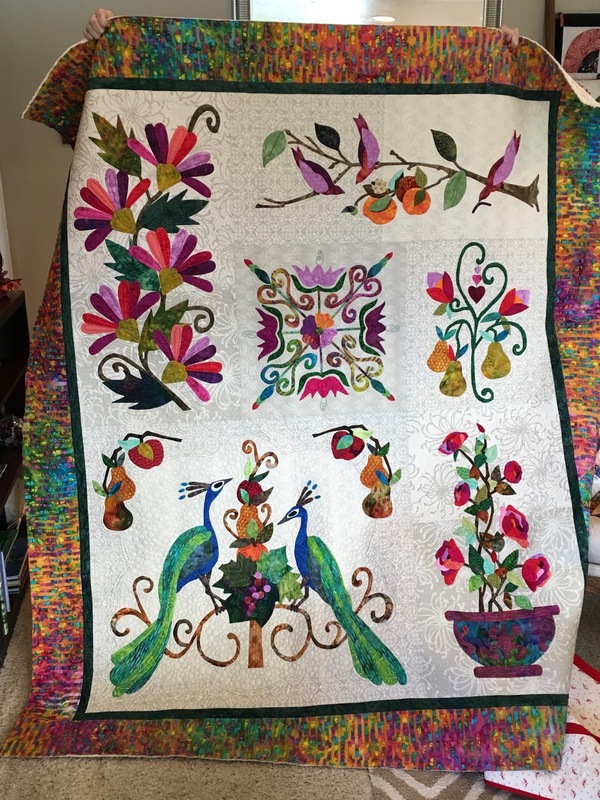 She will definitely be missed in the sewing & quilting community. I know she was able to tape 13 episodes of this season and the last one will be with her 2 granddaughters. I will definitely miss seeing her every week on our local PBS station. Feeling blessed. No special reason other than I had a good week and was Spirit Led. High Fiber—Coffee, Tea and "Treats"
As always, there were some lovely projects to see at Vintage Stitchers. Right now I am looking for some "Hobbs Premium batting" 80cotton\20polyester. I can't seem to find it anywhere,! I had some when I moved down here from Connecticut,,Now I am running out...!!! November 6 - OH NO, November already! Again, the Spirit Led me through the week.